Our YouTube Wishlist 2015 « Adafruit Industries – Makers, hackers, artists, designers and engineers! 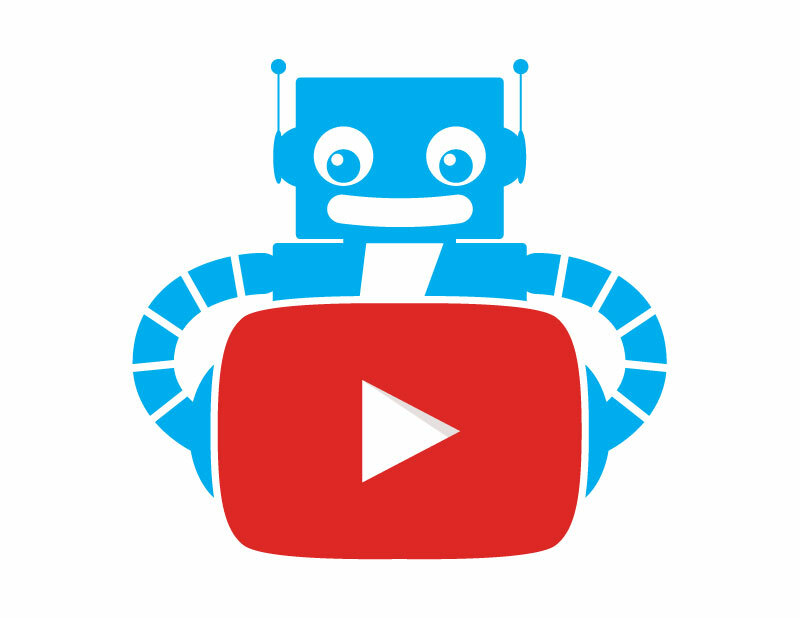 Adafruit and YouTube have been doing great things together over the last few years, and we’ve really enjoyed expanding our video programming to fully utilize YouTube as a platform. Subscribe to our channel if you haven’t already! We host two YouTube Live shows, two Google+ Hangouts On Air, and publish new project tutorials and product videos every week. Here are some items on our YouTube wishlist for 2015! Hangouts On Air and YouTube Live are two entirely different products, totally cool. One allows you to attach a show trailer, the other lets you upload an episode thumbnail. The former is problematic everywhere but Google+, where you can see it shows up nicely. Everywhere else we promote the upcoming HOA gets a grainy blown up version of our channel logo as a thumbnail. We’d like to be able to set image thumbnails for Hangouts On Air! Anywhere, seriously! We copy and paste the contents of the chat every time we broadcast a show so we can review them later to grab viewer questions, etc. We don’t mind if the chat is moved to a private location, just save it somewhere we can access it later. We are often referencing other videos or resources for our viewers during live broadcasts, but links are disallowed in the chat, even for the broadcaster / channel owner. When we see “server maintenance scheduled” on broadcast management screens, it is usually too late to do anything. A site we could check for upcoming scheduled maintenance or even known outages would be super helpful. 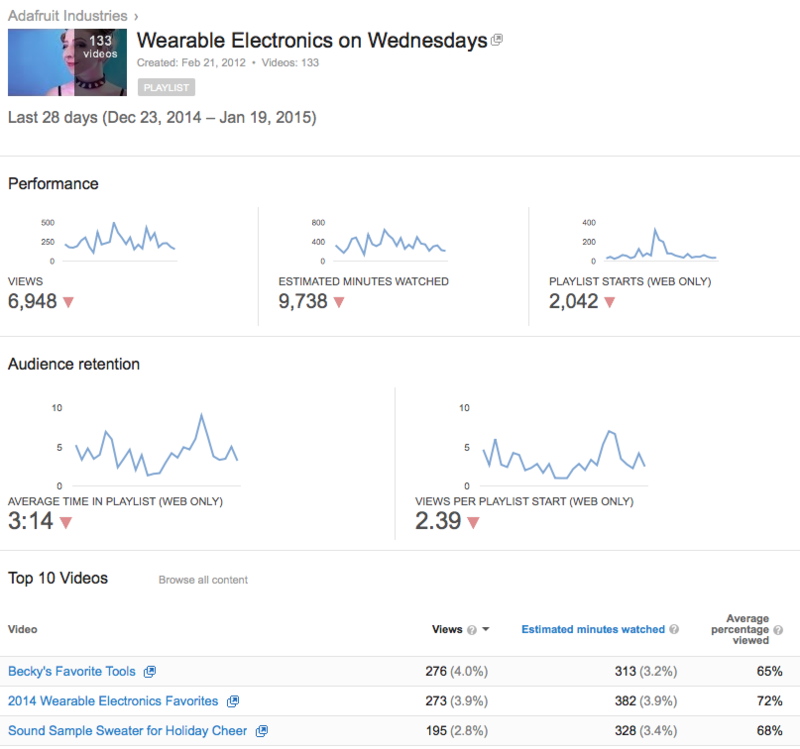 Right now playlist analytics give you information about how viewers behave inside the playlist environment, but there’s no easy way to get analytics for an entire group of videos based on their playlist/tag/anything. We’d like to track performance on our regularly recurring-shows and see how viewership changes over time. 2014 saw a lot of changes to how you go about getting that all-important embed code. We blog thousands of videos, and each one was preceeded by clicking three buttons and typing the numbers “850” to get the right code to put on the Adafruit blog. Some video services such as Vimeo remember your custom embed preferences and doesn’t hide the embed code under layers of buttons. 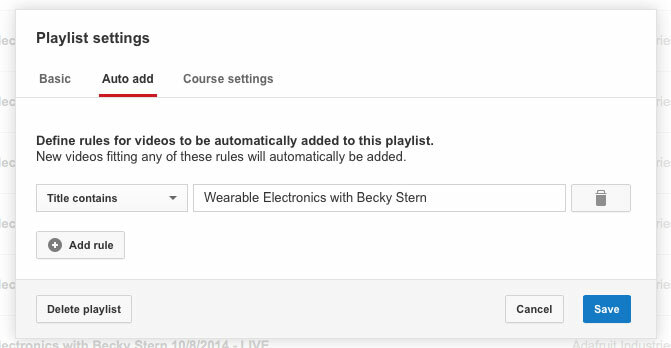 This is an awesome new feature, and was on this draft list until YouTube added it not too long ago. Thanks!! But it doesn’t auto-add live events to playlists until they’re archived, which is rough. We like to add the scheduled broadcast to the playlist so folks can click around and see previous episodes before the broadcast starts.